5 gallon) capacity�a popular size for any office or work space. Made of durable steel wire mesh in black; reinforced with solid metal base and solid edging along bottom and top rim. Measures 9-1/4 inches wide at the base, 11-3/8 inches wide at the top; and 14-1/4 inches tall. Gently flared, cylinder shape with 18-quart (4. 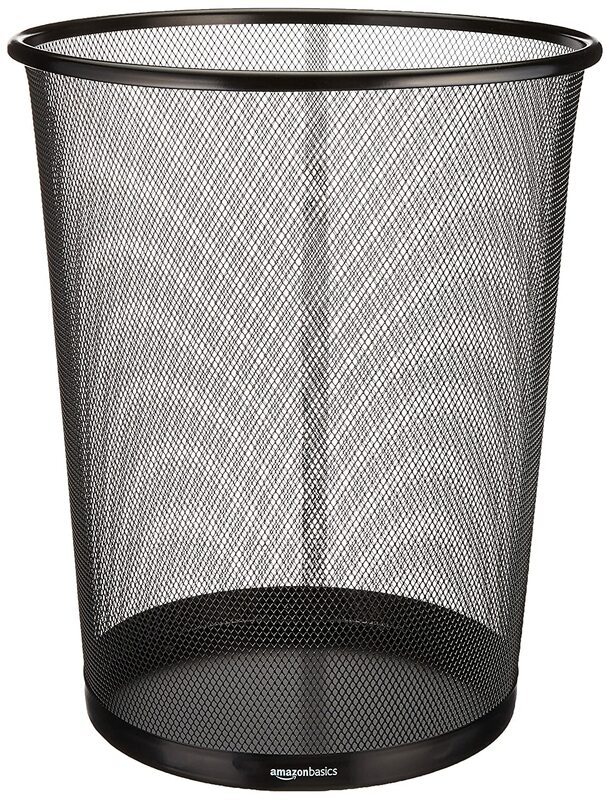 Mesh wastebasket offers a sleek industrial look and simple everyday convenience.